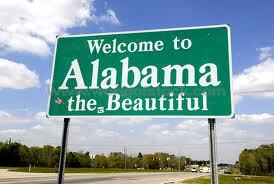 RCS Electrical Services is your Alabama electrician. From a small residential electrical repair, electrical service, or installation; to a large complicated electrical control system, count on us to be there when you need us. It may be that you are experiencing an electrical emergency at home, your kitchen lights or plugs stopped working, or your main electrical panel has a breaker which has decided to trip. Or maybe you are in the process of rewiring your kitchen, your bathroom, or just plain rewiring your entire house. No matter what type of electrical problems you are experiencing, RCS Electrical Services, your Alabama electrician, is fully licensed, insured, and experienced to solve it. Your Alabama electrician, RCS Electrical Services, is also experienced with boat dock wiring and lighting, swimming pool lighting and wiring, electrical service repair, generator installation, and many other electrical services. Your Alabama electrician is a kitchen rewiring specialist. Our kitchen lighting packages are not only beautiful, but functional. We place emphasis on your work surfaces, around the counter top, and focus our recessed lighting there, so that you have plenty of illumination right there, where you need it most. And if you want something fancier, we can give your under counter space, soft gentle lighting, which can give you more illumination when you are preparing those special meals, dimming when you can do without the glare. RCS Electrical Services, is also available for those times when you are busy building new residential construction. We are experts in wiring new residential units, and would welcome the opportunity to join your team. 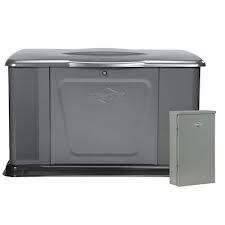 Standby generators are necessity in our beautiful state of Alabama. At several times during the year our weather can turn violent and cause us great suffering if we are not prepared. 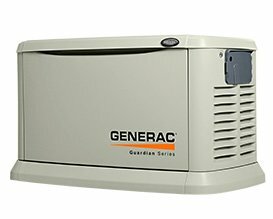 If your household or business can’t afford to be without power, for even the smallest amount of time, consider installing a standby generator. A Standby generator is completely automatic, watching the power line status every second of the day and night. If they sense that the power lines have failed, they start and within seconds, your property is operating as if you were still connected to the grid. When disasters strike, you can feel good that you have planned ahead, and protected those things that matter most to you. RCS Electrical Services has a great deal of generator installation experience. Since 2004 we have been installing generators. We are also available when your generator needs repair and maintenance. If you are in need of a new generator by your Alabama electrician, click here. Or cick here if you are looking for a technician to perform maintenance, repair, or rebuild your generator. If you are a builder or a contractor doing commercial construction in the state of Alabama, and need a commercial electrician, please call RCS Electrical Services. We have the expertise and the technical know how to help you. If you are opening your own business. It may be a restaurant, a store front, or a warehouse. It doesn’t matter, if you need electrical help, either building or maintaining these structures, call our company. Our electricians will be most pleased to provide assistance to you.